Mt. 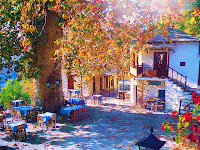 Pelion is considered one of the most beautiful mountains in Greece and is a popular tourist attraction throughout the year: hiking trails and stone paths give access to springs, coves and numerous beaches, sandy or pebbly, set among lusciously green slopes. 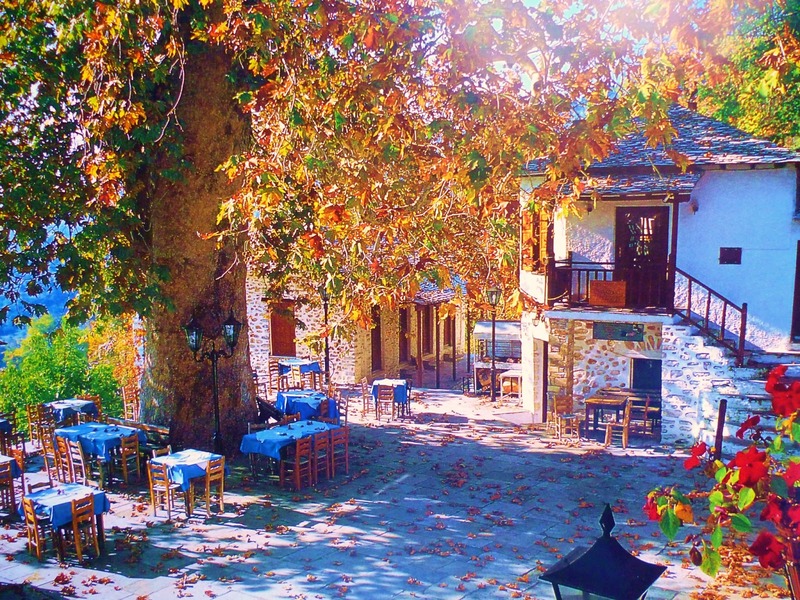 Pelion is an amply watered mountain, with an abundance of springs, gorges, streams and rivulets, with many streams routed in carved-stone artificial beds to bring the water to the villages and their thriving orchards. The higher elevations of the mountain receive enough snowfall so as to host skiing facilities that operate from Christmas to Easter. In Greek mythology, Mount Pelion (which took its name from the mythical king Peleus, father of Achilles) was the homeland of Chiron the Centaur, tutor of many ancient Greek heroes, such as Jason, Achilles, Theseus and Heracles. It was in Mount Pelion, near Chiron's cave, that the marriage of Thetis and Peleus took place. The uninvited goddess Eris, to take revenge for having been kept outside the party, brought a golden apple with the inscription "To the Fairest". The dispute that then arose between the goddesses Hera, Aphrodite and Athene resulted in events leading to the Trojan War. When the giants Otus and Ephialtes attempted to storm Olympus, they piled Mount Pelion upon Mount Ossa. Modern Pelion's twenty-four villages retain traditional Pelian architecture and construction, with stone buildings made out of expertly carved local grey, blue, or green slate and red clay. They are built on terraces on the slopes and offer stunning vistas of the surrounding slopes and the sea. Houses are usually multi-storied and feature the characteristic Pelian oriel construction, with tall windows and abundant painted ornamentation. Pelian tradition calls for three-level houses, with the ground floor used for work (tools, kitchen, storage, washing, weaving), the middle floor used for socializing (common rooms), and the top floor for private rooms (bedrooms). Heat is provided by fireplaces, the chimneys of which run through the walls to provide heat to the upper levels, whereas the top level, being well ventilated, provides for summertime cooling. Interior construction is usually of chestnut timber, stained dark brown and often elaborately carved. Many of the larger Pelian mansions (the arkhontiká or "lordly mansions") have been converted into boutique hotels and hostels. The largest of all the stone buildings and points of reference for the locals are the Pelion Towers. These are huge 300 year old buildings with exquisite visual characteristics that combine building elements of Mountain Pelion of the 17th, 18th and 19th century. Today, Mt. 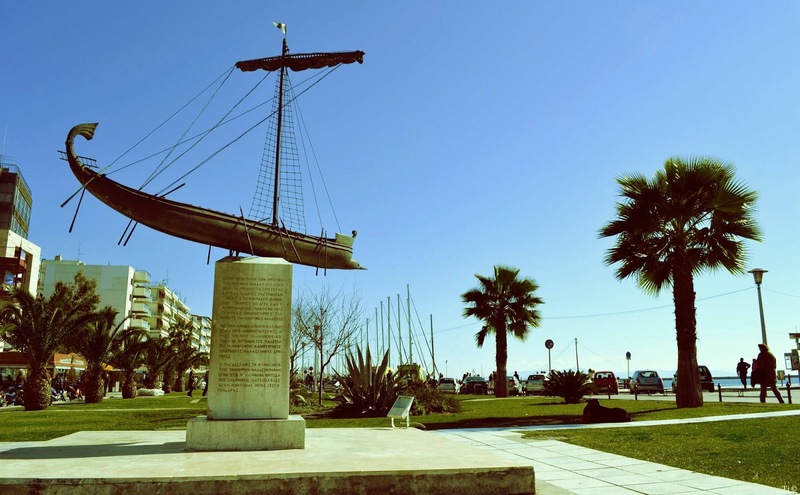 Pelion is part of the Magnesia regional unit (capital city: Volos).